Earlier, the opposition questioned the government on the issue of mob violence and cow vigilantism in parliament. Union Minister Kiren Rijiju slammed the opposition for raising the issue of mob violence. The government on Monday responded firmly in parliament to opposition charges of fanning sentiments that fostered incidents of cow vigilantism and mob violence. While the Congress said 'Hindustan' should not be allowed to become "lynchistan", the government accused the opposition of "drama in the name of secularism" to defame Prime Minister Narendra Modi. The government said that mob-lynching or anything related to it was "unacceptable" and noted that the prime minister has himself condemned this several times while terming the acts as the "worst form of crime". 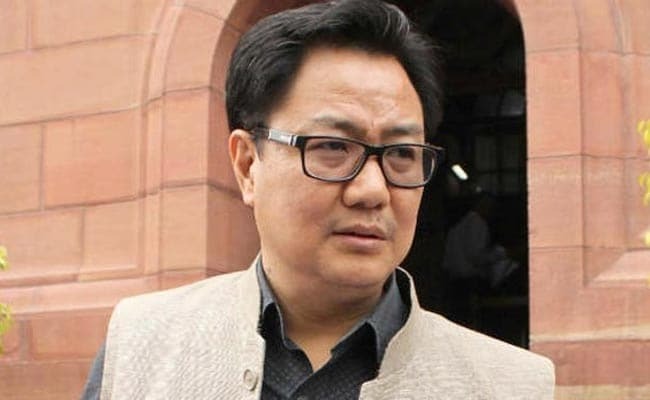 As the Lok Sabha discussed the issue of mob violence, which have surged in recent months increasingly grabbing national headlines, Minister of State for Home Affairs Kiren Rijiju said it is the responsibility of the state governments to deal with such crimes and the centre, on its part, has issued clear advisory. "How is it possible for the Centre (to intervene in a state subject)? Does the opposition want the prime minister to break the federal structure and want the Centre to take over," Mr Rijiju asked while replying to the debate. The Congress, Left parties and AIMIM expressed unhappiness over the minister's reply and staged a walkout. During the discussion on "incidents of atrocities and mob-lynching" in the country, members of all parties condemned the killings in the name of cow. "You have to stop vitiating the atmosphere of the country. If the prime minister has appealed, that should be respected. Everybody in India and outside is praising the prime minister. You get unmasked when you raise these issues. I am warning you. The more you malign us, we become stronger," Mr Rijiju said. "They (Opposition parties) are trying to find a political link in this (lynchings) to malign the image of the prime minister. They have made a joke in the name of secularism and are doing a drama," he added. The Minister also said that Kerala had reported the highest number of incidents of communal violence in 2014 when it was governed by the Congress. Uttar Pradesh topped the list in 2015, followed by Telangana and Karnataka, he said. In 2016, Uttar Pradesh against reported highest number of cases of communal violence, followed by West Bengal and Kerala, Mr Rijiju added. In terms of attacks on scheduled castes in 2016, he said UP topped the list, followed by Bihar, Rajasthan, Madhya Pradesh and Andhra Pradesh.